Living A Special Occasion Life: What's Your Signature? One aspect of your wedding that could become costly are your beverages, specifically your alcoholic ones. There have been mixed thoughts on if you should have an open bar or if you have a cash bar. Most will say having a cash bar is a big "no-no". If you tend to agree and want to offer free cocktails for your guests there is a way to do that without busting your reception budget. Trying to stock up a bar can get quite pricey so instead of offering all the possible combinations, why not considering serving a couple of signature drinks instead? You can easily pair them with a simple beer and wine service and save on cost. This is something that is becoming more popular for weddings as well as other events. One might ask "What makes it signature?" The drinks that you choose are reflective of who you are as a couple. You can pick drinks that when people have them they are something that could see the two of you drinking. The nice part about it is that your signatures do not have to be an alcoholic beverage if you don't want them to be. When thinking of how to pick your signature, there are a few ways you can go with it. One way is to pick a signature that goes with your color scheme. You can make a drink a variety of colors these days by mixing the right things together. 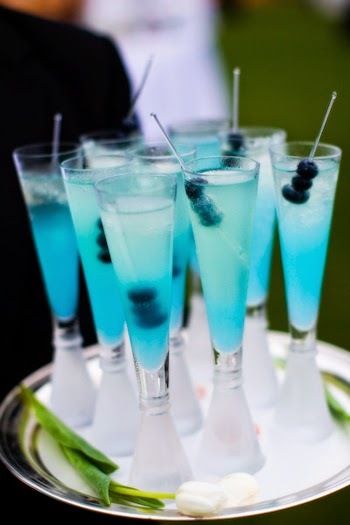 Maybe you have decided to go with a tiffany blue color palette, choose a beverage that not only tastes good, but will also display the blue you're looking for. Maybe you have the tropics in mind, pick something that displays the colors of an island get away. 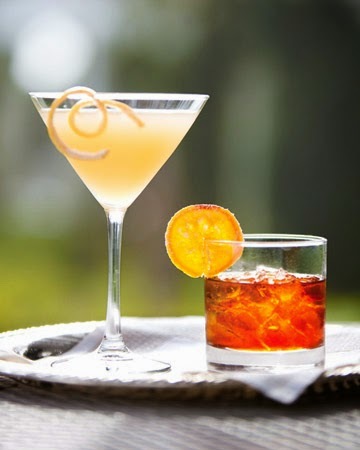 This is your opportunity to be creative both with the look and the taste, and it also gives whoever will be tending your bar a chance to use their creative skills in making something perfect for you. Another option could be selecting a His & Hers combo. Women tend to like their drinks to be on the fruity side, and most men aren't down for that. So, in order to make you both happy. Choose a drink that will make him and the fellas happy and one that will satisfy the palette of the ladies in attendance. Perhaps bourbon is more his speed and you're move of a vodka or gin type girl. You both can get what you want. Now if alcoholic beverages are not your thing, have fun creating some fun and fruity ones. These would be great for any kiddos that might be attending your event. 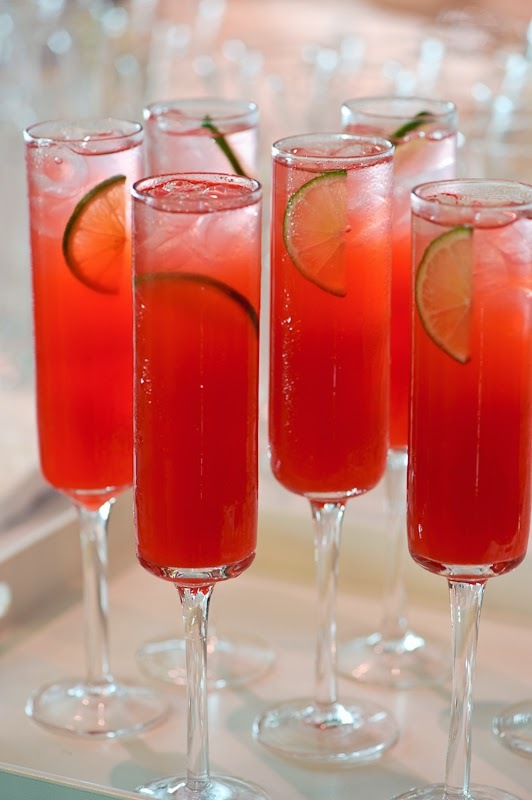 These would be your signature "mocktails" to add some flavor to your celebration. You can still dress them up in a champagne flute or martini class. Whatever you decide to do, have fun with it. Pick a day for you and your significant other to go do a drink tasting with the bartenders you choose for your day. Maybe you can incorporate it with your dinner tasting if your catering and bar service are being provided by the same company. Focusing on serving a couple of drinks can save you some money and your guests will still have fun with some refreshing choices.